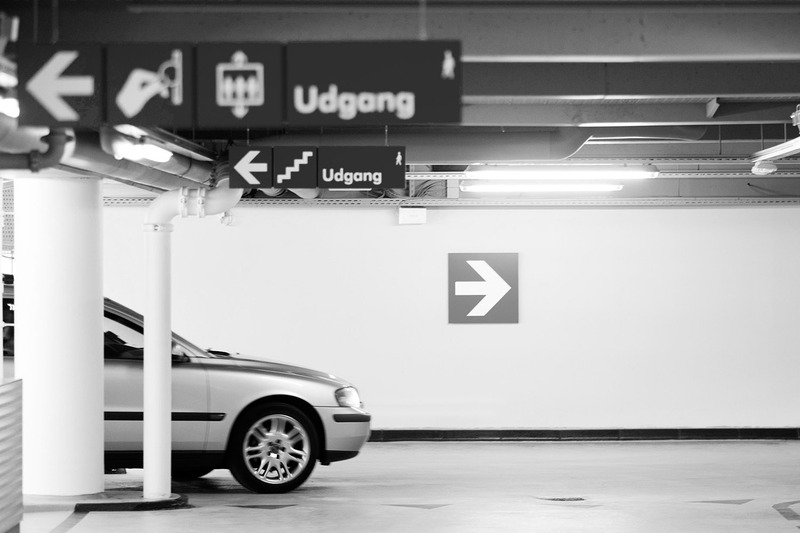 The car park in Silkegade is open daily from 7am until one hour after ILLUM closes. Save up to 19% on your purchases and get your Tax Free refund in ILLUM right away. Can be found on the 4th Floor. Here we can help answer any questions you may have and you can find out information about stores, activities and events at ILLUM. You can also purchase Gift Cards, sign up for the ILLUM KEY customer club, hand in your clothes for dry cleaning at Ecoclean or get assistance from our in-house taylor. This is also where you can find the ‘Lost and Found’ department. The car park in Silkegade is open for access every day from 7am until an hour after ILLUM closes. When collecting your vehicle, swipe your ticket or credit card through the reader which can be found on the pillar to the left of the entrance. You can exit the car park at any time. 3 hours or longer 46 kr. Payment is handled at the pay meter on level 2. All questions regarding parking can be answered by the Q-Park Customer Center, tel. +(45) 70 25 72 13. If you are a non-EU resident, you are entitled to a Tax Free refund on purchases made in Denmark. Present your Global Blue form and – if requested – the purchased goods to customs prior to departure and have the taxfree form stamped. Mail the form to Global Blue in the pre-paid envelope. When can I get my refund? To be entitled to a Tax Free refund your total spending in one shop must exceed DKK 300. It is important that you remember to ask for a Tax Free form. Your Tax Free form must be stamped by customs prior to your departure. Remember to return the stamped forms to Global Blue. Where can I get my refund? Receive your refund while you are still in town. Global Blue offers City Cash refunds at ILLUM. At the Service Center on the 4th Floor in ILLUM you can collect your refund right away. Receive your refund at Copenhagen Airport – in the currency you prefer. Note: Have your refund transferred to your credit card by filling in your credit card number on the form and mail your customs stamped form to Global Blue. Have your forms stamped by the last EU customs prior to departing to your destination outside the EU. If you forget to get a customs stamp before departure, have your forms stamped by local authorities in your own country and mail the form to Global Blue. Note: If your form is not returned within 30 days after the pre-payment, the full refund amount will be charged to your credit card.